In this ME, ME, ME society, we have seemed to forget that connecting with people, really connecting is vitally important. That starts with engaging conversation. Actually listening to someone and allowing them to speak about themselves and then responding in kind, is one of the most rewarding experiences. 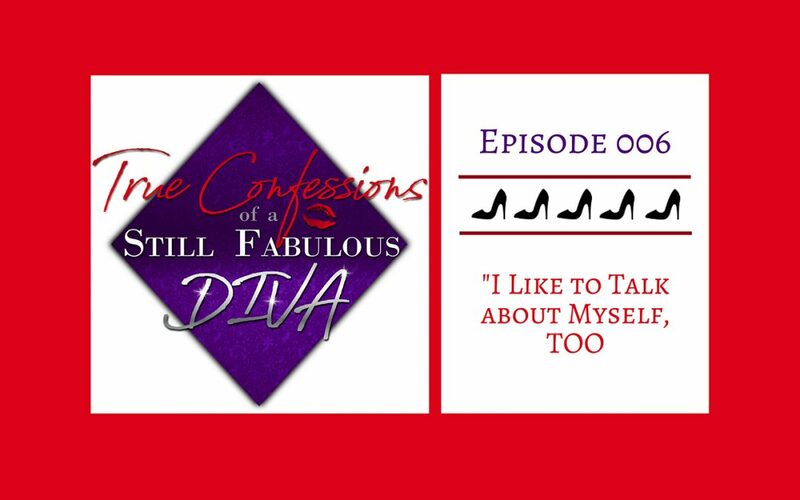 In this episode, Regina rants about those people who hog up all the oxygen in the room and shares how you can be a better conversationalist. Yes, obviously I like to talk about myself. And doing a podcast allows me to talk about myself without being interrupted! But this is a public service announcement. When you are having a conversation with me, while I am truly interested in hearing all about you, I like to be a part of that conversation too! Conversation is defined as “an informal exchange of ideas by spoken words.” The important word there is EXCHANGE. I give you something to talk about and you give me something to talk about. It’s not about you hogging up all the oxygen! The fact of the matter is EVERYONE wants to be heard. Everyone wants to be seen. Everyone wants to be validated. And when you don’t ENGAGE other people in an equal conversation, they don’t feel seen. And in the future, they will have no reason to continue that relationship because it is perceived as completely one-sided. And ENGAGEMENT is the key here. Having a conversation is not just letting the other person talk about themselves and then you talk about yourself. You don’t get anything from that. To engage someone is to allow them to dig deeper into what they are saying and that means that you ask them questions. And you not only ask them questions to keep them talking but so that you can learn something – something about them or the situation or anything. But then you need to realize that engagement goes both ways and once your partner has engaged you to speak, you then need to engage them to speak. Perhaps by asking a question that pertains to what you were saying about yourself, encouraging them to weigh in, or by asking a question that changes the subject to encourage them to speak about something else. Engagement in this way not only makes the other person feel that you are genuinely interested in what they have to say but it also results in a VASTLY more interesting conversation. You actually have the opportunity to CONNECT with another human being in some way. You are listening and sharing and respecting the other person. It is vitally important! Engaging in conversation where both parties are equally contributing is one of the most satisfying experiences you can have because it creates a human connection where both people feel valued. Don’t incessantly talk about yourself. A monologue is not a conversation. Be an active listener. Look at your partner in the eye. Listen to what they are saying and react appropriately. Ask open ended questions that encourage the other person to answer with more than a one-word answer. “How are you doing?” gets a “Fine.” But “I saw that you were starting a podcast. What made you decide to do that?” prompts a more interesting answer. When you have finished speaking, don’t just put a period on it and wait for them to ask you another question. If you don’t sense they are going to respond to what you just said, ask them a question. Don’t be a one-upper. If the other person says something that prompts you to share a related experience from your life, fine. But if you respond to everything that they say with a sentence that starts with “I” then you aren’t engaging. You are turning the conversation back to you. Be sincerely interested in what the other person has to say. If you aren’t sincere, they will pick up on it and not feel valued. Remember that everyone likes to talk about themselves sometimes. If you are at the dinner table with someone and you look down and your plate is full of food and their plate is empty, you’ve been talking too much! Shut up! Ask your companion a thoughtful and open question that gives them the chance to speak about themselves. It will be the most interesting part of the meal! So here’s my inspiration for the week: This is a quote from Queen Oprah that is really more than just about conversation on a macro level but definitely applies to it on a micro level. So pay attention! And Engage!